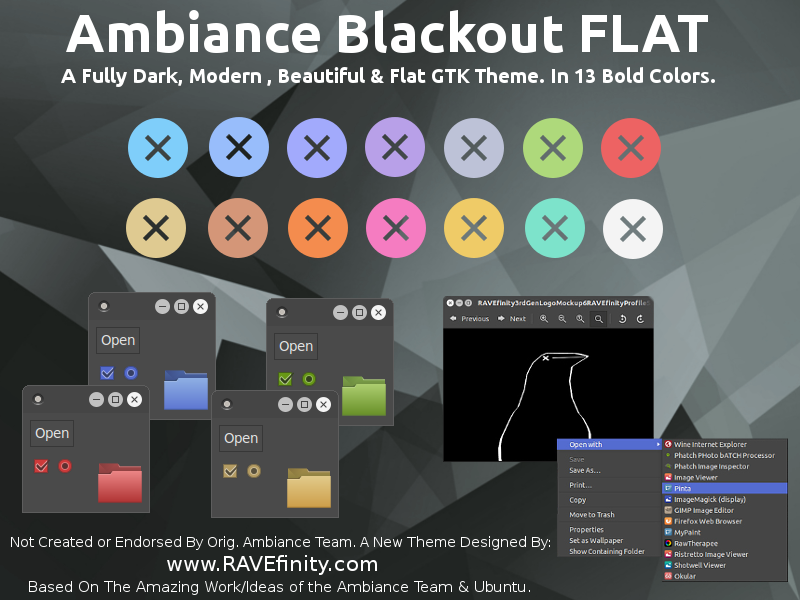 Ambiance Blackout Flat is an modern, fully dark & flat reboot of the Ambiance Theme. It features a easy on the eyes fully dark appearance in your choice of 13 vibrant colors. 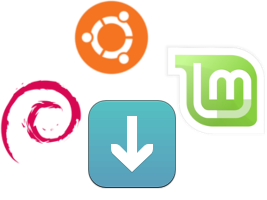 Debian 8, LMDE 2 and other distributions compatible with listed GTK Version(s). Legacy means it is no longer supported. But it should work on Ubuntu 16.04 LTS, Mint 18.x and older. We are no longer updating or maintaining it. Please do not report any bugs you find as they will not be addressed. Being an older GTK theme it is not a security risk to use legacy gtk themes. But things may just not work as expected as time goes on. You can either fix issues yourself, ignore them or find something else to use. Ambiance Blackout Flat does NOT support GTK 3.22+ used in your distribution. 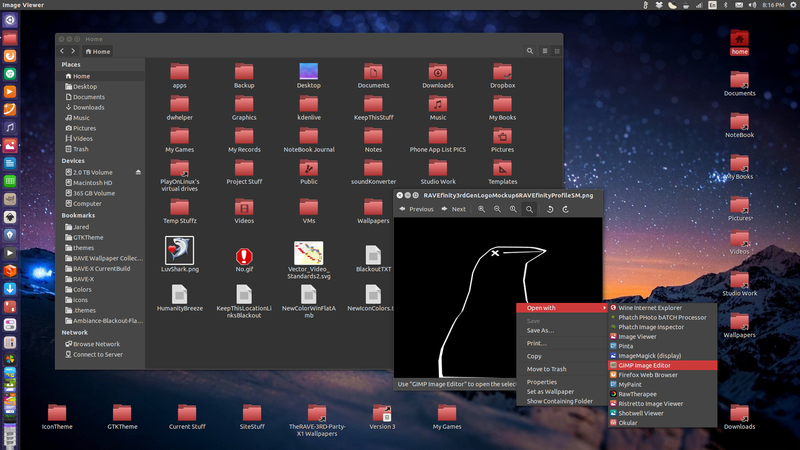 It only supports up to GTK 3.18. It will NOT work on newer GTK Builds. Ambiance Blackout Flat brings you a fully dark and flat version of Ambiance, However we don't go crazy with making everything "Too Dark" the theme was designed to be a calm beautiful shade of Dark Grey that is still highly visible and not too dark. We spent lots of time crafting and perfecting things so the theme could be highly usable and buttons and all elements highly visible and clear. Theme Requires about 15 MB of disk space. Ambiance Blackout Flat Colors is not created or endorsed by the original Ambiance team. It is a "New" theme by RAVEfinity.